An Honest Every Day Carry Folding Pocket Knife with Everything You Need and Nothing You Don't. We're excited to see just how far a little "Moxie" can go. With a name like that, you have a lot to live up to-and Designer Matthew Lerch has made sure this one does. The steel InterFrame construction provides a solid footing for the molded handle scales, which feature a hard layer for strength and a softer layer for tactile grip. A modified spear point blade style proves effective in a wide variety of every day applications. Blade actuation is done through the patented Fire Safe release button incorporated into the thumb-stud opener. Simply, push odown and out" on the thumb-stud and as the blade begins to open, the OutBurst opener assist kicks in and the blade opens fully. The Moxie is offered in three attractive color combinations; Black, Grey, and Green versions. 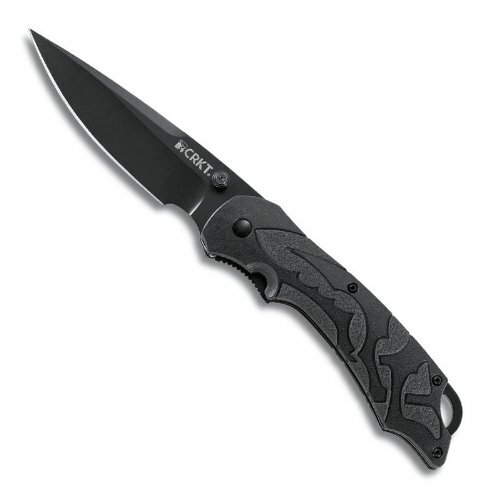 All in all, the new Moxie folding pocket knife is an ideal choice for every day carry.